Mannerheim grew up in a family that valued old-liberal attitudes and constitutional views on the position of Finland. 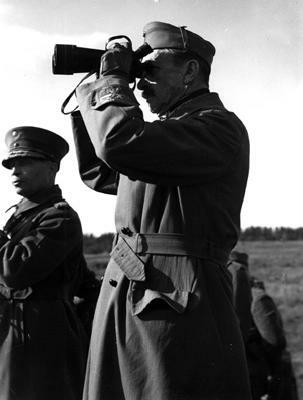 Living in the neighbourhood of the Russian court and travelling in the centres of Europe and elsewhere, Mannerheim developed into a cosmopolitan, with an ability to comprehend world-wide events from a larger point of view. He had a large circle of friends and acquaintances all over. Being of Swedish-speaking ancestry, Mannerheim supported the idea of a nation state, and respected the form of government, agreements, laws and obedience to the law in everything he did. Mannerheim participated in the last assembly of the Representatives of the Estates (the Diet) in 1906, representing his family and the conservative views aiming at a bi-cameral Parliament. Before leaving for Russia Mannerheim had lived in an environment fully aware of the special position of Finland as an autonomous state. Nevertheless, he stayed in the Russian army during the period of oppression. As regards disputes over Finland, Mannerheim, being first and foremost a soldier, remained loyal to the soldiers oath. He never broke the oath of allegiance he had sworn to the Tsar, although he personally despised Tsar Nicholas II for his inability. The Revolution in March liberated Mannerheim from this oath. At its first stages, the Russian Revolution was most bloodily directed against the officers of the army and navy. Witnessing acts of violence, left Mannerheim with permanent mental scars. He opposed to and was suspicious of the Bolshevik regime and, till the end of his life, he harboured hopes of seeing the Soviet government subdued in Russia and replaced by a democratic government, with which Finland could live in peace.